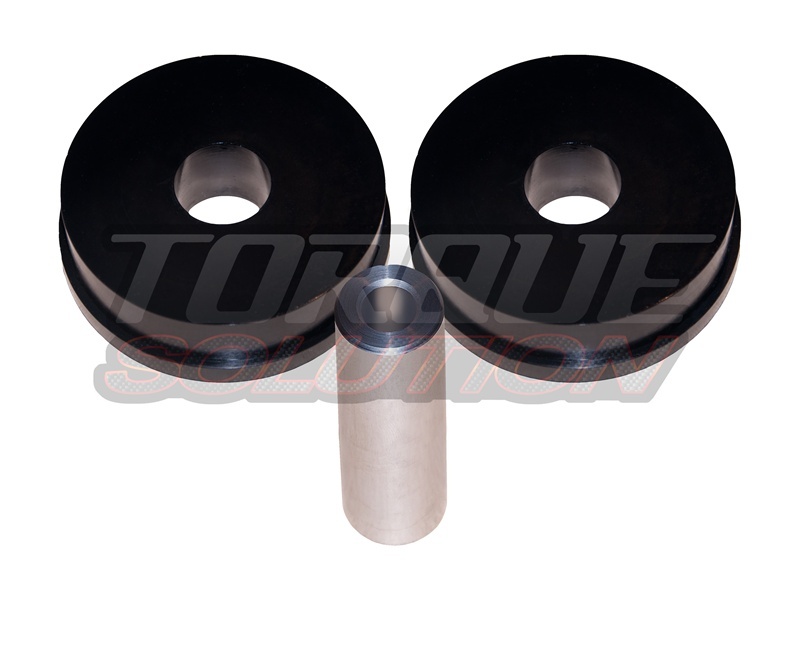 Torque Solution polyurethane engine mount inserts that replace the inner rubber material of the OEM EVO 8/9 engine mounts. Made from 75a durometer polyurethane. Each mount includes 2 half's and a center steel sleeve. These give you improved traction and reduced wheel hop without to much vibration. Bushings come with a Limited Lifetime Warranty through Torque Solution. Fits OEM Front Mount Housing..